For some, cryptocurrencies are to be considered exclusively on their technical merits. For others, cryptocurrencies are a speculative investment vehicle. Still more use them as actual currencies, exchanging them for goods and services and even receiving their salaries in the cryptocurrency of their choice. 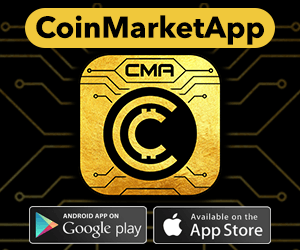 For all except the first group, though, it’s vital to be able to convert quickly between a cryptocurrency and a fiat currency: until the volatility of the early days are settled, the fiat value of a given coin could swing by double-digit percentages on a daily or even hourly basis, leaving goods and services themselves priced in fiat with conversion to cryptocurrencies at the time of purchase. In short: regardless of whether you’re holding your portfolio to speculate or to spend, you need a way of keeping track of the fluctuations in fiat value. While many cryptocurrency wallets include this feature, it’s not a great idea to be wandering around with your entire portfolio on your smartphone. That’s where Blockfolio comes in. Blockfolio isn’t a wallet, it’s merely a portfolio management tool. New users are asked to pick the coins they want to monitor from a vast selection, with fiat pricing gathered either from a particular exchange or – as a rather neat extra – calculated based on an average of global exchanges. While the on-boarding processing isn’t quite as smooth as it could be – portfolios default to a fiat currency of US Dollars, and changing it is hidden in a secondary settings menu – it’s easy enough, at least for those who want to simply monitor exchange rates. To actually track portfolio values, though, Blockfolio needs to know about your transactions. This, typically, takes the form of manually entering each transaction into the system – and it quickly becomes clear that the app is focused on investors. In Blockfolio terms, a transaction is a conversion of fiat into cryptocurrency or vice-versa: at the time it’s entered, the app automatically pulls in the current exchange rate and allows you to fill in the fiat or cryptocurrency value to have the other side calculated automatically. If the exchange rate has shifted, you can override it – and if you made an actual spending transaction, say buying a coffee with Bitcoin, you’re free to enter an exchange rate of zero. For anyone using a cryptocurrency as a currency and making multiple daily transactions, Blockfolio is a poor choice. For the investor, though, it offers some particularly nice features. Tapping on the value of the entire portfolio, found at the top-left of the screen, pulls up a chart of its value over time; tapping on any given cryptocurrency brings up a chart for that coin’s exchange rate, along with details on your holdings. Blockfolio also does its best to calculate profit and loss, using the current market value and the net cost – provided when you entered your transactions – to figure out how far in the green or red you are. These calculations, and the overall portfolio value graph, are of most use to those who have entered each individual transaction religiously; if you’re a new Blockfolio user, dumping your entire holding in as a single transaction makes things easier but dilutes the value of the app’s analysis. A new feature as of Blockfolio’s major overhaul for version 2.0 is the “Signal” tab. Here, news from official outlets for each cryptocurrency tracked in the portfolio – whether as an investment or in watch-only mode – is gathered and presented in a scrollable list. By default, Blockfolio also issues an alert each time it finds a piece of news – treated as a “trading signal”, hence the tab’s name – in order to get the information across to you as quickly as possible. It’s a neat feature, but its focus on only official sources means that it’s little more than a public relations firehose: you’ll find plenty of news about all the good things that are planned for each coin, but little about any negative press – and it’s often the negative news that has the most dramatic impact on pricing, diluting the feature’s use as a trading signal source. A separate “Explore” tab pulls in crypto-related news from third-party sites, both positive and negative, with a search feature to drill down to particular currencies. Blockfolio isn’t perfect. The “Signals” are of little use to traders, though do make keeping up with the official news on your favourite cryptocurrencies easier, and having to enter each transaction by hand makes it ill-suited to those whose focus is more on rapid-fire trading or use as a currency. There are one or two bugs, too, particularly with the app – which relies on Blockfolio’s cloud servers – failing to refresh during periods of extreme volatility. Perfect, though, is the enemy of good, and for both monitoring more complex portfolios and simply tracking the exchange rate of particular cryptocurrencies, Blockfolio is undeniably good. As a free download for both iOS and Android devices, you can’t fault its value.